Caring for the scalp, as well as the hair, has been a key growth trend in personal care since 2014, with a focus on ingredients that provide moisturization, hydration and nourishment for the scalp. So why is such a strong interest emerging for going beyond hair care, to the scalp? The root of the issue (no pun intended ) appears to be the increasing prevalence of excessive hair fall, unrelated to male pattern baldness, being experienced globally by both genders. And a deeper understanding and acknowledgement that hair health starts at the very beginning – the follicle,with the condition of the scalp being a key component of this biological recipe. One of the main contributors to poor scalp health, and subsequent hair health, particularly in Asia is the increase in pollution. The scalp and hair, alongside skin, form the body’s first barrier exposed to pollution. A study by the Industrial Toxicology Research, found that “hair loss due to pollution can coexist or mimic androgenic alopecia”. The relationship between scalp, hair, pollution, and the resulting inflammation is further documented by Misery (Misery 2011) who noted that exposure to pollution causes faster exfoliation of outer layers of the scalp, exposing the sensitive inner layers and causing more sensitivity. This leads to further scaling and even psoriasis on prolonged exposure. 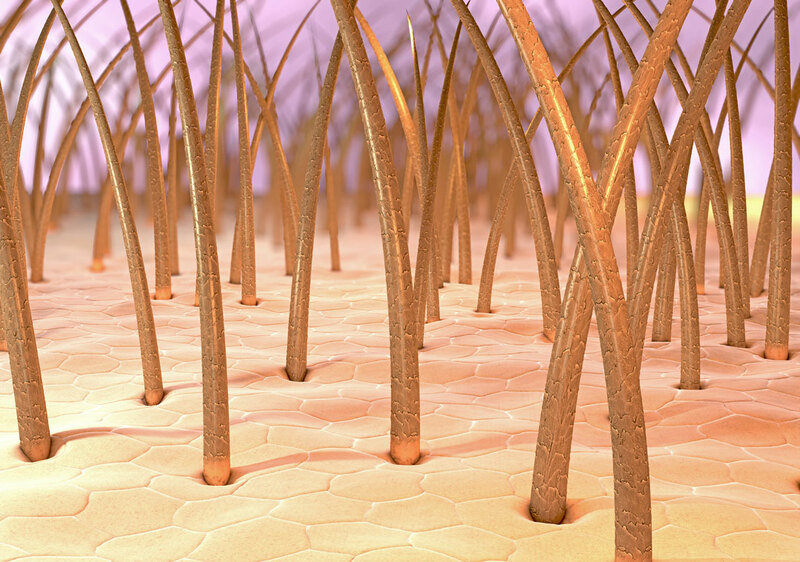 With continued exposure to pollutants,hair follicles suffer unabated low-grade inflammation leading to fibrosis and permanent hair loss. Given that increasing pollution levels correspond to increased oxidative stress of the hair follicle cells leading to more hair shedding, the demand for products with ingredients that support scalp health is only going to increase.